Well, another Town Meeting Day has come and gone, and with it, another Town Report. 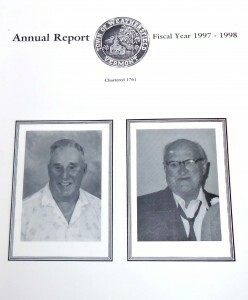 2012 marks the 13th year we’ve been producing the Annual Report for the Town of Weathersfield. What began as an old-fashioned blue-line print job, complete with border tape, photo stripping and hand-delivery to the printer (always during a blizzard, it seemed) is now streamlined and all electronic, with delivery of a PDF to our printer via FTP. How times have changed…and the individual reports don’t even come to me handwritten on notebook paper anymore! And it’s hard to believe we’ve worked with at least four different Town Managers over the years. Above is a shot of our very first report – only 88 pages! And here’s this year’s – combined with the School District report since 2003, now a healthy 161 pages. It’s an honor to work with our Town on this effort and we appreciate the opportunity. 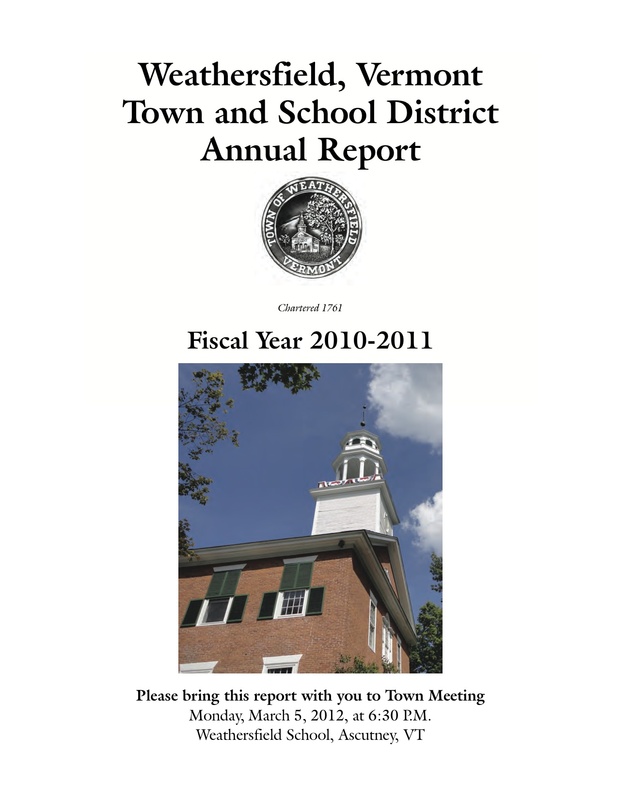 To download the full PDF, please visit the Town’s Website at www.weathersfieldvt.org and click on the 2010-2011 Town Report Available Online link on the homepage.